Fiber is in the air. Maybe it's because I'm learning to weave (thank you Textile Arts Center) or because I'm learning to knit (thank you La Casita Yarn Shop) or maybe it's because it's cold and everyone's wearing lots of fiber (thank you winter : ). Whatever the reason, fiber's in the air. And since I'm all about connections and associations, let's consider that "fiber" can also mean "thread" and "thread" can mean "connecting things to each other". SaraJuneBK is a wonderful hair salon in Brooklyn. The "thread" that carries through the shop is this: there's a warm and considered attention to the natural beauty of things. Oh, that's right up my alley. Sara's sister embroidered this small junebug for her. It presents itself so simply and beautifully on the natural wood wall. 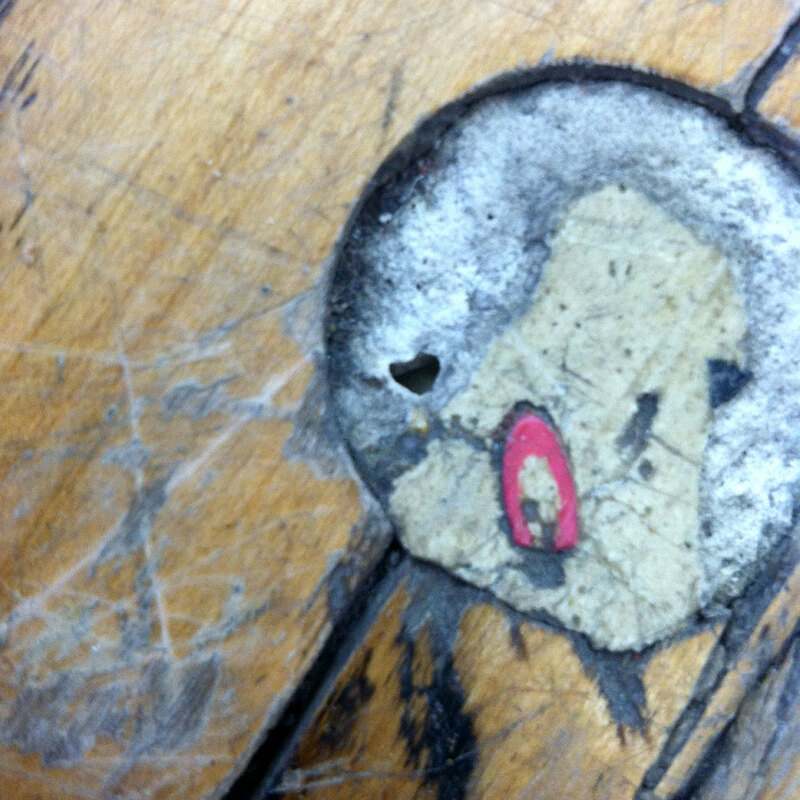 After my appointment, I went to TAC and as I was sitting at my loom I looked down and saw this beauty in the aged patina and marks of the studio's natural wood floor. The beauty of both, one created with intention and one created randomly over time, calm my soul.